Essential to every good road trip is a quirky, absurd roadside attraction. Something that isn’t worth driving out of your way to see, but something so comical that it’s difficult to pass up. 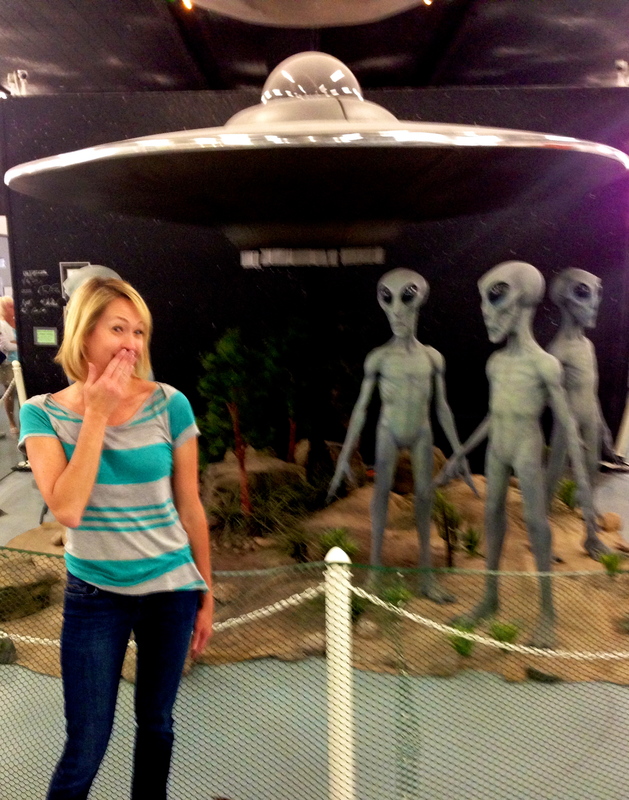 Mine was the Roswell UFO museum…AND research center. It’s best explored after a few cocktails and with a group of friends in a similar state of mind. I went alone and sober at 9am. Even so, it was entertaining enough to justify the $5. 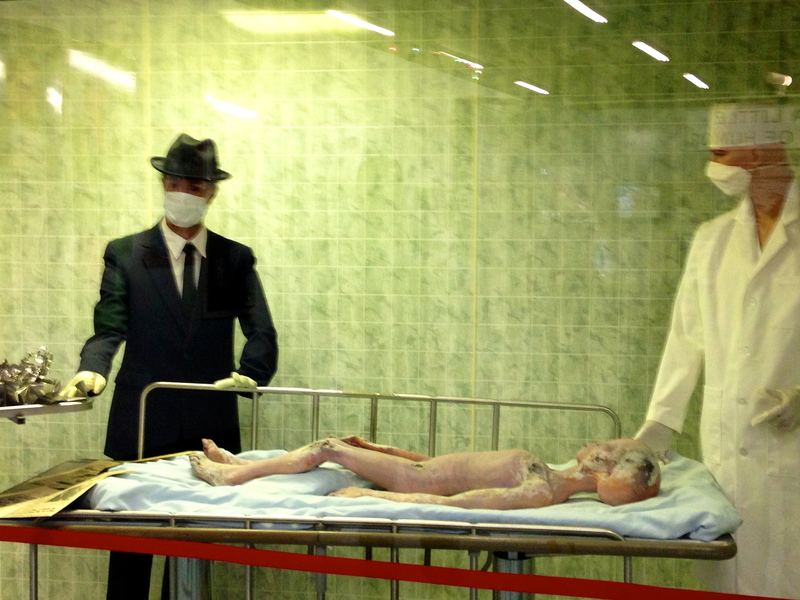 And I learned that Area 51 has nothing to do with Roswell. It’s in Nevada. I’ve never been a UFO or alien buff (obviously). I actually googled “beam me up Scotty” to make sure it had something to do with space. So the walls of firsthand accounts, hypotheses and counter-hypothesis were a little too much for my non-caffeinated brain to take in. But then there was a smoke machine and eerie music playing from the back of the museum. Alas! I found displays of little aliens and a group of senior citizens willing to partake in my photo shoot.